This is a slide type 8 way DIP switch which can easily be mounted on a PCB. 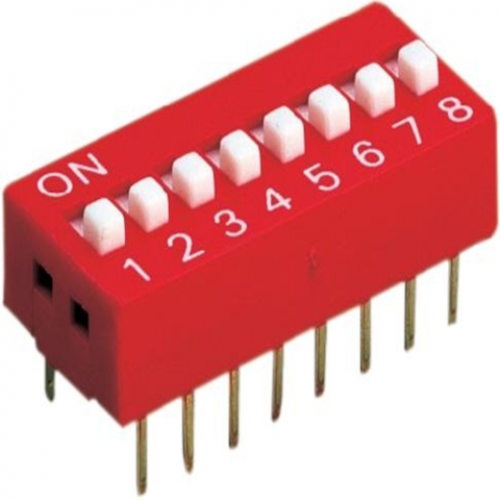 A DIP switch is basically a set of switches in one single package. This DIP switch has 8 switches on it and in all 8 pins. this DIP switch has the same footprint of a 16 pin DIP IC, so it can easily be mounted on a general purpose PCB, breadboards as well.